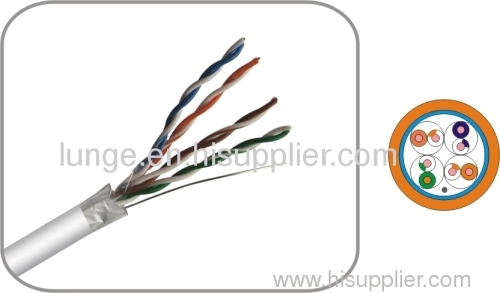 We supply all kinds of network cable:utpCat5, Cat5e cable, utp Cat6 cable with superior quality,reasonable price,prompt delivery. Its shield protection allows it to avoid error codes caused by environmental disturbance in transmittance. It applies to high electromagnetic disturbance environment such as hospital, telecom room, airports. With standard wiring length 90m,it is connected in T568A or T568B manner. The end employs shield and grounded parts, so as to ensure Channel to transmit normally under shield protection.